The Computing Technology Industry Association (CompTIA) was established in 1982 in order to advance and develop the growth of the information technology (IT) industry, and those working within it. Today it is the leading global IT trade association and has influence in all areas of the IT industry worldwide. CompTIA facilitates the growth of the IT industry by promoting industry standards, growing professional IT expertise, providing IT skills education, and developing relevant business solutions. Through the years CompTIA has developed specialized initiatives and programs dedicated to major areas within the industry as those areas, themselves, were developing. This association follows and predicts trends and technological advances within the IT industry. CompTIA is able to create interest in and understanding of categories like: convergence technology, e-commerce, IT training, software services, certification, public policy, workforce development, and technology learning. CompTIA has created and developed certified exams. It is the world’s largest developer of vendor-neutral IT certification exams. CompTIA employs the assistance of experts and industry leaders from both public and private sectors (such as training, academia, government, etc.) to develop broad-based, foundational exams, that accurately assess an individual’s IT skill set. 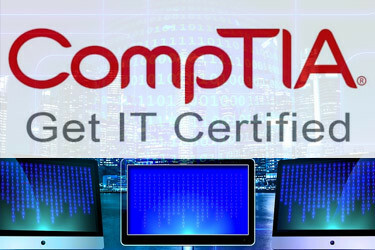 An example of one of these certified exams is the CompTIA Network+ certification. Network+ (Network Plus) is a mid-level certification for network technicians. This certification is designed to test the competency of a mid-level network technician in supporting and configuring TCP/IP clients in terms of network design, cabling, hardware setup, configuration, installation, support, and troubleshooting. CompTIA also sponsors certification for document imaging (Certified Document Imaging Architech [CDIA]) and a hardware certification exam (A+). The CompTIA certifications are usually more basic and less product-specific than other certifications, such as Microsoft’s MCSE or a Novell CNE. Kilroys College run the Network+ – IT Skills Preparation course for the CompTIA A+ certification. This is a Distance Learning course. If you are interested in becoming a Network administrator or PC Support Specialist, then this CompTIA sponsored Network+ course could be for you. It will help you prepare for the Network+ exam, which will give any prospective employer proof that you possess the required technical knowledge and skills to support a network. It also gives you the perfect foundation to build on towards other IT qualifications. The College of Management and IT (CMIT) offer a comprehensive e-learning course to prepare students for the A+ Certification from CompTIA. 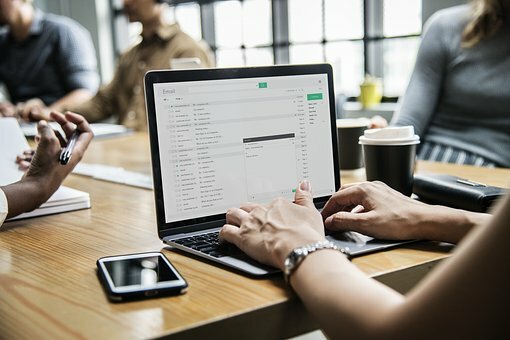 The CompTIA A+ certification is the industry standard for computer support technicians and it proves competence in areas such as installation, preventative maintenance, networking, security and troubleshooting. CompTIA A+ certified technicians also have excellent customer service and communication skills to work with clients. This course is suitable for IT Technician, Enterprise Technician, PC Technician, Desktop Support Technician, Field Technician, PC Support Specialists or People considering a career as a PC Technician. It is also ideal for A+ certified professionals who are encouraged or required by their employers to remain current on their certifications. Once you successfully complete the programme, you will receive a Diploma in Advanced PC Maintenance from CMIT and following successful completion of the exams you will receive CompTIA certification. Dorset College run a number of IT courses including their full-time course: Computer Systems Engineer (CompTIA A+ & CISCO) and part-time courses in CompTIA A+ / IT Essentials and CompTIA Linux+ Powered by LPI. CompTIA Linux+ Powered by LPI validates the fundamental knowledge and skills required of junior Linux administrators. The aim of the Linux+ course is to demonstrate a wide range of skills required in today’s complex IT environments. It is recommended that participants have CompTIA A+, CompTIA Network+ and at least 12 months of Linux administration experience. Professionals holding the CompTIA Linux+ credential can explain fundamental management of Linux systems from the command line, demonstrate knowledge of user administration, understand file permissions, software configurations and management of Linux-based clients, server systems and security. Because of the growing popularity of enterprise-ready platforms such as Linux, both employers and professionals realise the importance of skill validation. The industry recognises that a CompTIA Linux+ certification is a good indicator of foundational proficiency in everyday management of Linux-based clients and basic management of server systems. In order to participate and complete any of the above courses, (depending on the course provider and type of course) you must have good working knowledge of ECDL or equivalent, and/or relevant work experience. Some advanced courses will require completion of other CompTIA courses before progression is allowed. 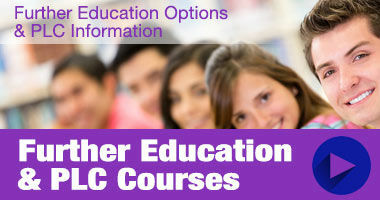 Contact the relevant college to establish their individual requirements. CompTIA Certification is the starting point for a career in IT. There are excellent progression routes taking IT certifications from basic skills to advanced technical specialties in order to build a successful career in IT. Their certified exams are proof of your professional achievement, providing you with a solid credential leading to better job opportunities and a well-defined career path. This will give you an advantage over other candidates when applying for a job. There are also specific areas such as networking, security, software technology, or hardware support that you can specialise in. IT is one of the few growing industries today that consistently experience difficulties in recruiting enough graduates and workers to fill vacancies. Demand for skilled Network Support professionals has grown significantly over the past few years. Leading technology companies such as IBM, Microsoft and Intel have identified Network+ as the perfect entry point into a networking career.